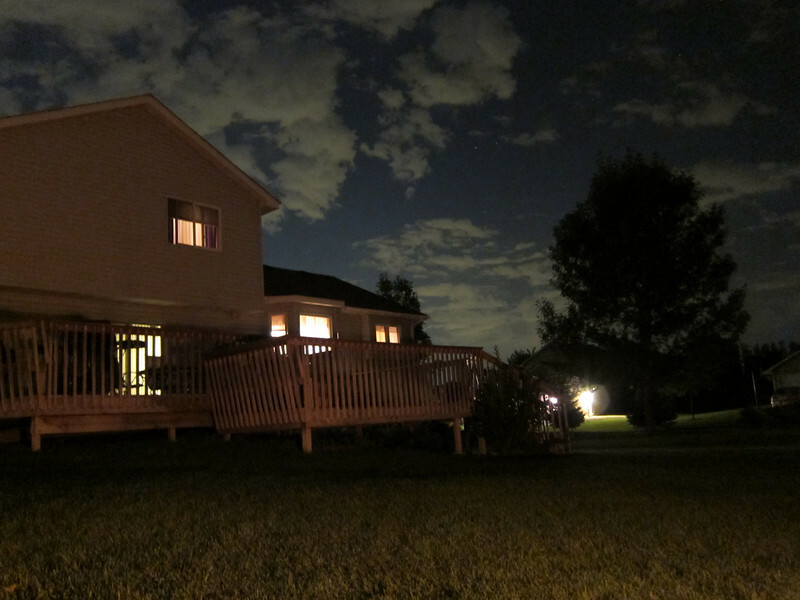 This was taken at 10pm (sun sets around 7:30) on 9/5/2010 with the house lit solely by a small bonfire and the sky lit by the light pollution of the Twin Cities. The sky was mostly black to the naked eye and the stars were out. You can see the stars scattered around the pic. 2 second exposure on the S90.